DUMAGUETE CITY -- A government doctor assigned in Canlaon City, Negros Oriental was gunned down Tuesday morning, November 20, in its adjacent city of Guihulngan for an unknown motive. The victim, Dr. Avelex Amor, chief of hospital of the Canlaon District Hospital and who hails from Dumaguete City, succumbed to multiple gunshot wounds after a lone gunman fired at him at close range, said Police Chief Superintendent Mario Buquiran of Guihulngan City. Initial police investigation showed that Amor was driving his car on his way to Dumaguete, together with a relative identified as Rosly Tobias Aldojesa, when he stopped along the national highway at Sitio Tinangon, Barangay Basak in Guihulngan at 8:20 a.m. to relieve himself when he was shot. “On foot ra ang gunman naglakad papunta sa kotse ni Amor at binaril siya at close range (the gunman was on foot, walking towards Amor as he alighted from his car and shot him at close range),” he added. After shooting the victim, the gunman ran towards a companion who was waiting on a motorcycle and fled. Buquiran said one of the suspects was wearing a full-faced helmet while the other had his face partially covered. 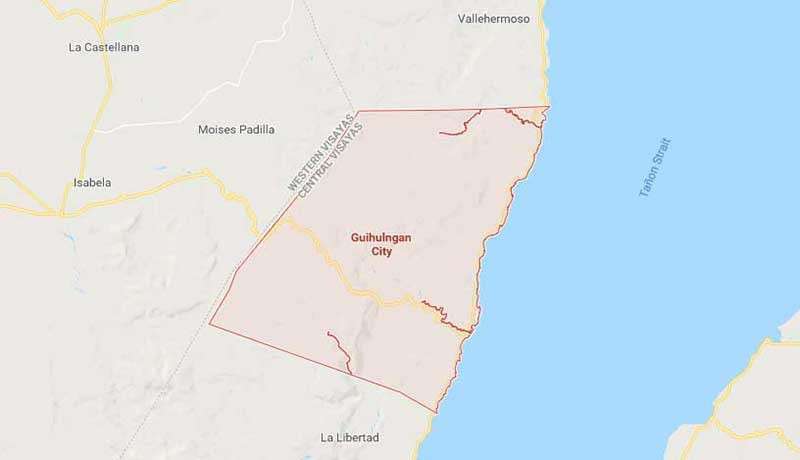 Responding police personnel and the rescue team of Guihulngan City brought the physician to the Guihulngan District Hospital but was declared dead. Police recovered from the crime scene four fired cartridges of .45-caliber pistol. Buquiran said they are looking at personal grudge as possible motive for the killing of the doctor.